I'm so excited to share this post with you guys! I hope by now you know that I only share things that I truly love and believe in. This product is no exception, and is quite possibly my favorite share to date. If you're a parent, you know how much sleep you lose at night with a new baby in the house. Aside from the countless hours of sleep I lose from Knix waking up throughout the night, I'm constantly waking myself up worrying about him. I can't tell you how many times I wake up, shine the light of my phone onto him, or put my hand on his belly to make sure I can feel those sweet little breaths. It may seem silly, but you hear so many horror stories about babies choking in the middle of the night, SIDS, and so on and so forth that I can't help but worry. 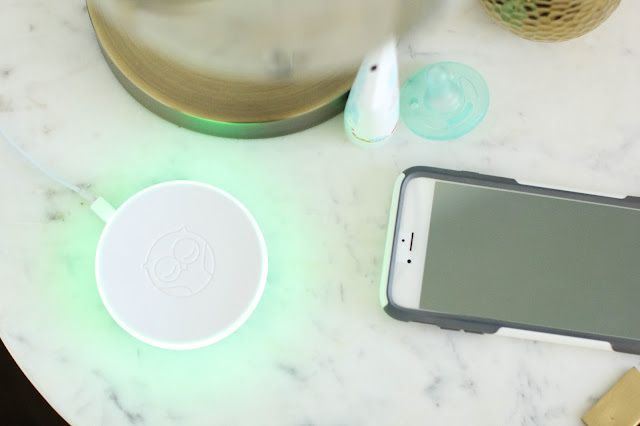 This baby monitor is beyond amazing, and I honestly could not live without it now. 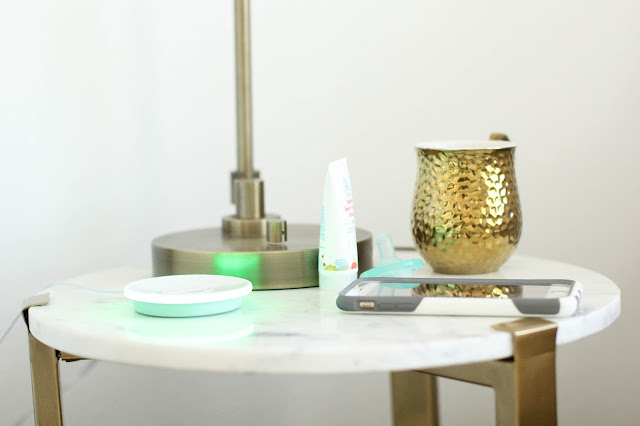 The Owlet uses the same technology as hospitals use (pulse oximetry: the little clip they put on your finger), to constantly monitor your baby's heart rate and oxygen levels. The monitor uses a tiny little sock that you place on the babies foot, and it shines a small red light through their skin, measuring how much light makes it back to the photo receptors. Simple and painless. 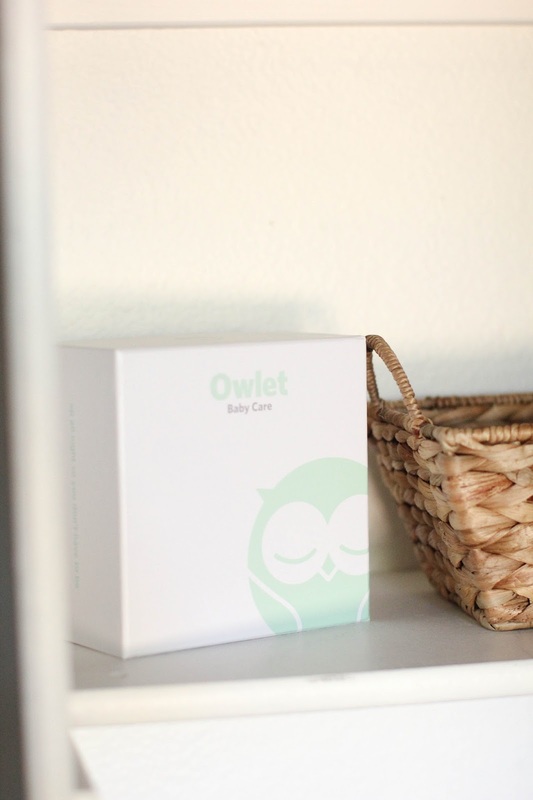 The Owlet has a small base station that connects to the sensor on your baby's foot. 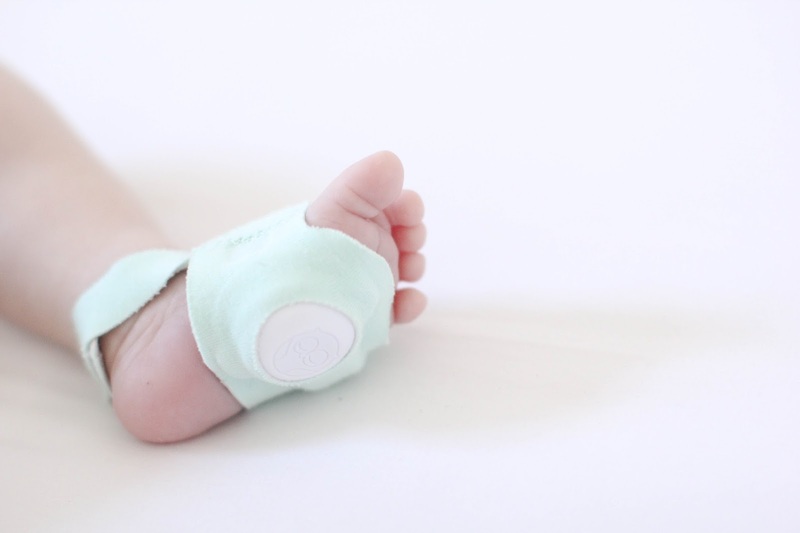 If the sock becomes disconnected from the base somehow (falls of the babies foot etc) the base station will turn blue and play a sweet lullaby to alert you. If your babies oxygen or heart rate drops too low, the base station will turn red and send out an alarm. Not only does the sock connect to the base station (which will ALWAYS be connected), but it also connects to an app on your Apple device, so you are able to check both the heart rate, and oxygen levels on your phone as well. 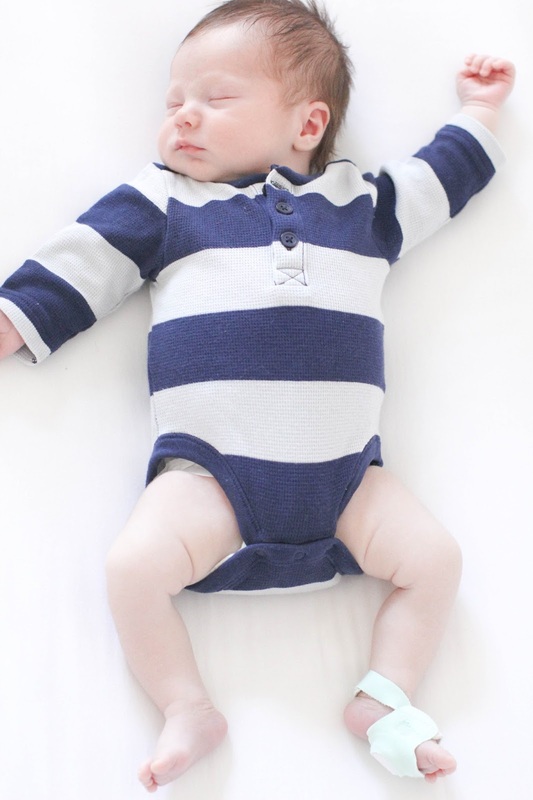 Knix is currently wearing the smallest of the three sock sizes that comes with the Owlet. The socks are designed to fit children up to a year, but will fit most kids up to 18 months. The sock fits right under his footie pajamas, and doesn't seem to bother him at all. I love that I can use the Owlet while he's napping as well, and I can't begin to tell you the peace of mind this simple monitor gives Eric and I. I'm so grateful to know that the Owlet will alert me if anything is wrong with Knix, and also grateful to finally able to get some rest during the night! If you're a new mom, have a sweet little one on the way, or know someone expecting, please do yourself a huge favor and check out this monitor. The peace of mind is beyond worth every penny. We've been using it for a few weeks now and love it! Please feel free to email or comment any questions you might have, or check here for some FAQ! To purchase click ---> HERE! When we have another I will so have to look into this! I too knew that I would never sleep well after Emma was born due to constant worry about SIDS. We purchased the Angel Care Monitor and I loved it as well. Different system, but same idea of monitoring your baby while sleeping. Thanks for sharing! Yes you should! I'm so crazy, and I sleep so well with this now! Well, as good as I can with a newborn ;) It's amazing. Is this their 2.4Ghz model that is available in most large retail stores? I'm fairly sure that they claim that the signal is encrypted.Read reviews of about the best baby monitors Thanks!